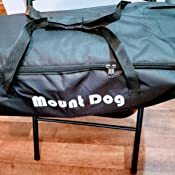 Sold by MountDog and Fulfilled by Amazon. Gift-wrap available. 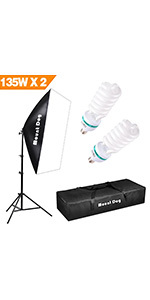 【2PACK 20X28 INCHES SOFTBOX】MountDog softbox ultimately soften light stream and remove shadow to make perfect shooting; Silver internal face to minimize light loss and maximize light spread, with E27 socket,you can directly connect light bulbs,fluorescent lamps or slave flash to offer the light. 【270°ADJUSTABLE】Softbox lighting angle can be 270°adjustable lamp holder, can adapt different shooting needs, give you the suitable light from multiple angles, setting-easy with a few minutes, ideal portrait, studio, photography, video and so on. 【3 x 135W BULB】3 x 135w Energy saving compact fluorescent spiral bulb, Color Temperature: 6500K, (CRI) Ra > 95. 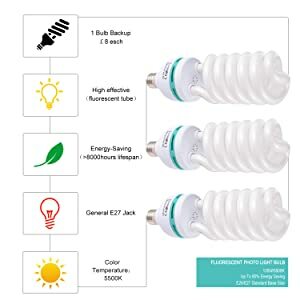 Saves energy up to 80%, Watts: 135W, low operating temperature, life time approx 10000 hours.135W bulb is better than other 85W and 45W bulbs, and we prepare an extra light bulb for reserve. 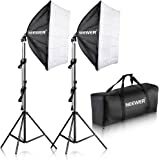 【2 x 27''-80'' ADJUSTABLE LIGHT STAND】This photography lighting kit includes 2 adjustable light stand can be fold to 27'' and an expandable to 80'', with a 1/4" standard screw threaded tip, made of aluminum alloy that is durable and foldable for easy portability, using durable nylon bag to accommodate the studio lighting kit. 【WARRANTY】: Three month warranty! You can replace new 135W bulb anytime in 1 year. Sold by MountDog and ships from Amazon Fulfillment. 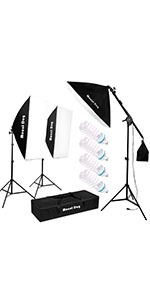 Sold by KimOutlet and ships from Amazon Fulfillment. Sold by SimpleStudio and ships from Amazon Fulfillment. 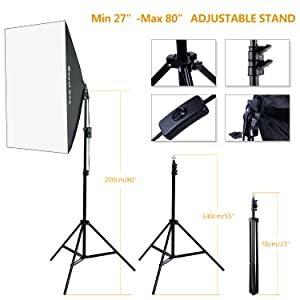 Height adjustable: 27" to 80"
Let me begin with the so called carry bag, Its zipper has had one to many jamming attacks from prior abuse, shreaded, and nearly off track. The bag its self inside lining has what almost resemble yard clippings, NO JOKE, this isnt funny, Im not Laughing. it looks as though the interior was stopped with the filthy shoes of an enraged child. The stand them selves are scratched from being slammed into position, and appear to worn. the Umbrellas them selves another story..
AS I WAS SE TO LEAVE TOWN I DONT HAVE THE TIME FOR THIS DISASTER. AS SOON AS I HAVE TIME I WILL POST ALL PHOTOS OF THIS DISASTER..
5.0 out of 5 starsGreat for YouTubing!!! I use this product religiously. for my Allmy youtube live streaming on my channel HSFL PARANORMAL I can say is wow! It made my live streaming so much better. 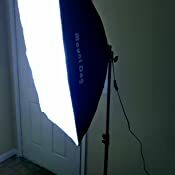 I have really bad lighting in my home. This was the perfect solution. It was easy to set up. 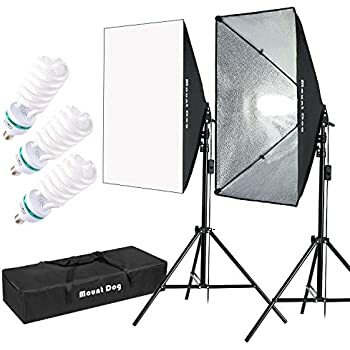 And it looks great in any room you Film in. 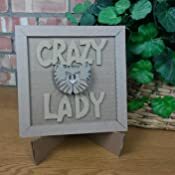 Well made product!!! The million-dollar question what I recommend this to any of my followers or anybody else who is interested in YouTubing or any kind of streaming!!! The answer is 100% yes absolutely would. It's fine for a couple days. Then the light stop turning on. 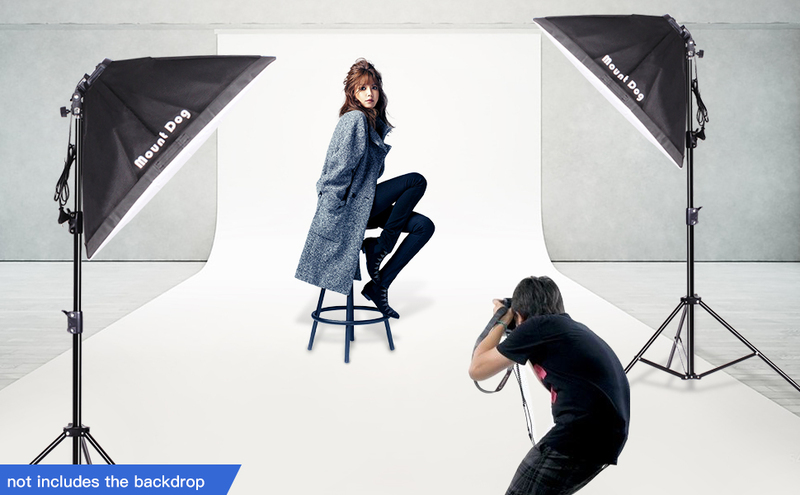 And one of the light stand became loose that it won't hold the softbox still. 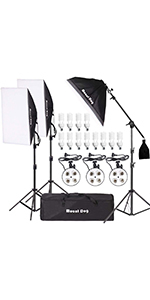 This light kit was specifically what I was looking for. I'd used my brother's larger light kit with umbrellas, white, green, and black backdrops, but all I needed was the two lights. That's exactly what I got and it saved me almost $100. The order came on time as promised. It is easy to put up and tear down. 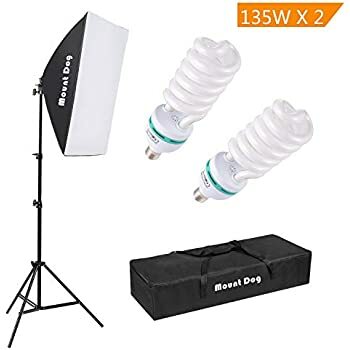 Having the extra bulb is nice, though they are physically larger than I've used in the past which means they take up a little more space in the bag. The bag is no frills, but sufficient. I have no complaints about this product. First off, I am not a photographer and have nothing to compare this to. 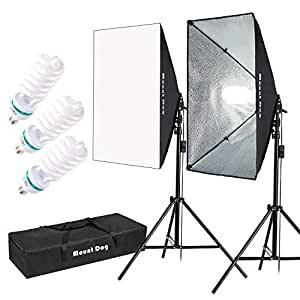 I bought this for shooting pictures of art products to post on Instagram and Etsy. 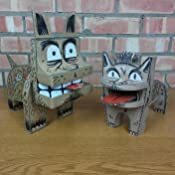 My basement has no windows and terrible lighting and my phone (LG G Stylo) doesn't have the best camera and takes terrible pictures in low light. 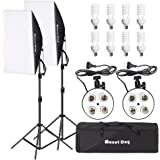 These lights have really helped me get better shots and they are super easy to set up, very light weight and easy to move around. The stands don't seem to be the highest quality but are what I expected at this price point and are completely adequate for taking shots in my basement. 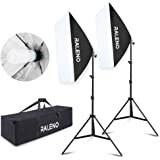 If I had little kids running around or was transporting them to and from gigs I would look for something more sturdy but under my circumstances I am comfortable leaving them set up all the time and dragging them around the house to take pictures. 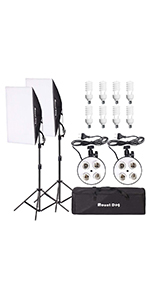 I like that the set came with an extra bulb, I have been using it in a clamp-on shop light I already had, to bounce off my low basement ceilings as a third light source and that works well for me. They light up my work area nicely too, I actually will turn them on when I am doing art projects to get more light on my work area. 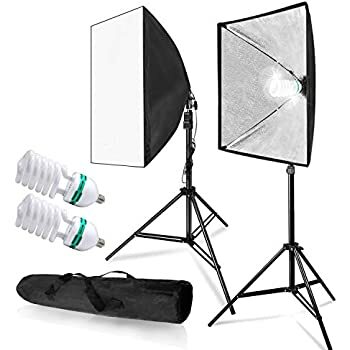 I plan on doing some YouTube videos coming up and I'm not completely sure these are going to be enough light for that scenario. 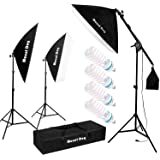 All photos I uploaded were taken in my basement on my crappy phone with only these lights as the light source. Now I need to learn how to use my Canon SLR. 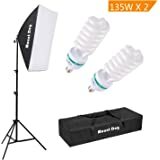 These constant light softboxes worked for the purpose I purchased them for. The prive was excellent compared to others listed. 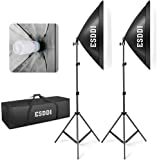 The "umbrella" part of the softbox is lined in silver, thick material and will produce harsh light if that is what you are going for. The white translucent cover softens the light as expected without any major "hotspots". 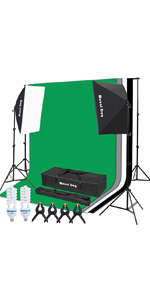 There was no light leakage from the softbox except out the front as there should be. 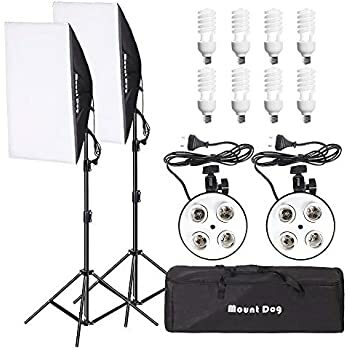 The bulbs are on the "bright white" end of the spectrum so they will remove the yellow incandescent coloring depending on how far they are away from the subject. I will only use this twice or three times a year. It sets up very easily. 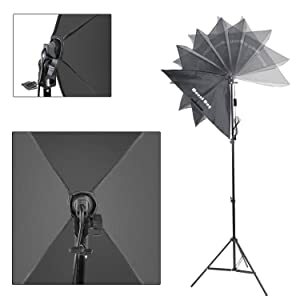 Its lightweight (be sure to stablilize the stands) and it throws out a lot of light. One caution: when inserting or removing the large bulbs, hold the bulb with both hands. I was screwing it in with one hand and dropped it, which was my fault. Just cup one hand underneath until you've screwed it in completely. 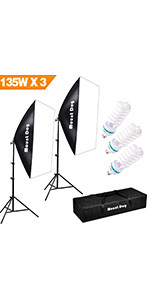 I was glad they included 3 bulbs! 4.0 out of 5 starsGreat deal for the price. 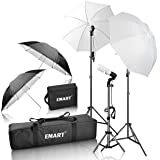 It is worth if for the 3 bulbs.